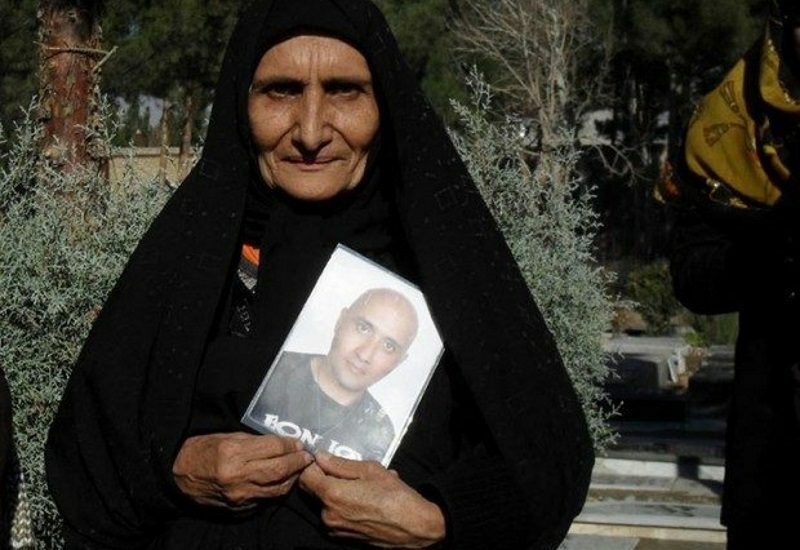 Sattar Beheshti's mother, Gohar Eshghi holds a photo of her son in protest of his murder by government interrogators. Eshghi has become a symbol of resistance to Iran's repression of online freedom of expression. Photo from ICHRI. On October 30, 2012, Sattar Beheshti was arrested by the Iranian Cyber Police. His alleged crime was posting his political opinions on social media, which included a harsh rebuke of the regime in Iran addressed to the Supreme Leader. Beheshti would never see home again. Prison authorities contacted his family on November 6, 2012 and asked them to collect his body. Beheshti had been beaten to death. Four years after his death, Beheshti has come to embody the spirit of resistance in Iran, in an ongoing struggle against freedom of expression and government repression. Iran provides a compelling example of the dynamic interplay between state actors and online activists. The rise of the Internet led to many opportunities, but also new strategies by the state to clamp down on this new sphere that offered a welcome respite from the heavily controlled state media. O nline activism  became a key component of nationwide protests in 2009 against electoral fraud and deep rooted grievances against the ruling establishment. The government turned to brute force to squash the physical manifestations of the protests, and turned to new heavy forms of information controls to stop the movement online. This included a brief shut down of the nation's Internet connection, as well as online monitoring and surveillance of activists. The online space has long been seen as the realistic alternative  for opposition and free expression against Iran's repressive public spaces, even more so after the 2009 crackdown. Yet this online activism has been replete with risks — as the Beheshti case has demonstrated. The 35-year-old Beheshti was a day laborer from a lower-income neighborhood outside of Tehran. By night he vented his frustrations and expressed his views on a blog called “My Life for Iran .” His blog's name was a subtle play on a slogan that had become popular in anti-government rallies. Beheshti had reportedly  been arrested during student protests in 1999, and remained outspoken in his political views. Beheshti’s blog posts centered on the arrest and imprisonment of activists and expressed anger and frustration over the daily injustices that took place in Iran. Throughout October 2012 his posts changed in tone and nature. He would boldly express his defiance towards the regime, crossing red lines, such as openly criticizing the Supreme Leader. Such open dissidence, especially of the country's highest ruling figure, was known to be reprimanded heavily. I can call you an artist in the art of killing. Believe me, I consider you an artist. Beheshti was arrested on October 30 by the Cyber Police  (or FATA ) and taken to Iran’s notorious Evin prison. Days after being detained, Beheshti died under mysterious circumstances on November 3. According to reports, Beheshti died of internal bleeding, hemorrhaging in his lungs, liver, kidneys, and brain. After Beheshti’s death, 41 political prisoners in Evin Prison signed a letter  claiming that signs of torture were “clearly visible” on his body while he was held at Evin’s Section 350. We and our lawyer did not attend the so-called trial sessions and we left judgment [in this case] to future generations and history. The regime in Iran attempted to turn Beheshti’s death into an isolated incident by reprimanding those involved in his death and claiming that a thorough investigation had taken place. Yet Beheshti's case was neither the first, nor will it be the last in Iran. In 2009, Omid Reza Mir Sayafi , a 29-year-old Iranian blogger and journalist, died in Evin while serving a two-and-a-half year sentence. Sayafi’s case garnered headlines as one of the first bloggers in the world to die  while serving his prison sentence. The regime has not shied away from death sentences for online activities. On August 4, 2008, Iran executed blogger Yaghoob Mehrnehad , a political activist and member of Iran's Baloch minority. Mehrnehad was accused of being a member of Baloch militant organizations , while others have maintained that he was targeted for his writing . In 2011, Iran began a second wave of targeting activists. Several people such as Vahid Asghari  and Mehdi Alizadeh were given death sentences, convicted on charges of anti-government agitation, insulting Islam and immortal activity. Others, like web designer Saeed Malekpour , are not activists, but were tried, convicted and sentenced to death nonetheless. Some of these sentences including Malekpour's have since been overturned, while others have ended in executions — Alizadeh was put to death  this past September — but Iran continues to target activists, particularly those who leave a digital footprint. 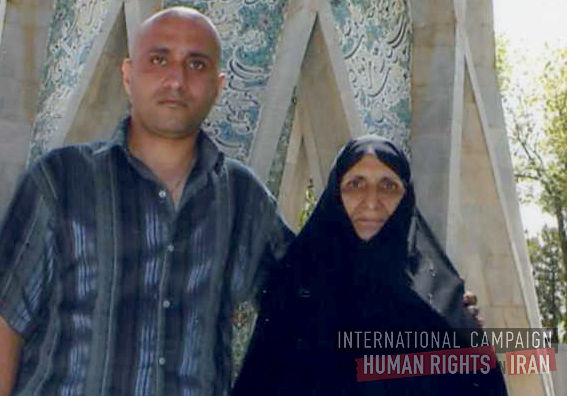 As a mother – more importantly than this, specifically as the mother of Sattar Beheshti – my resolve is uncompromising: I will show to those who pretend to be on the side of the people that I will not flee from anything. The regime's policies were no doubt intended to silence Beheshti, but his words now echo throughout the world as an expression of what is felt but not said in the hearts and minds of millions of Iranians.